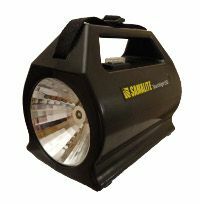 The New Samalite maintenance-free LED Rechargeable Searchlight range, provides some of the most powerful torches for industry or leisure in the world. 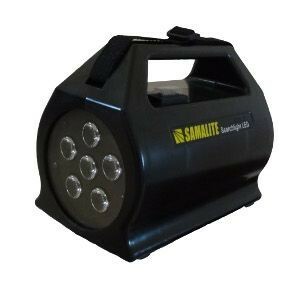 Samalite’s range of high powered LED rechargeable searchlights are maintenance free using the latest in LED and Lithium Ion battery technology. 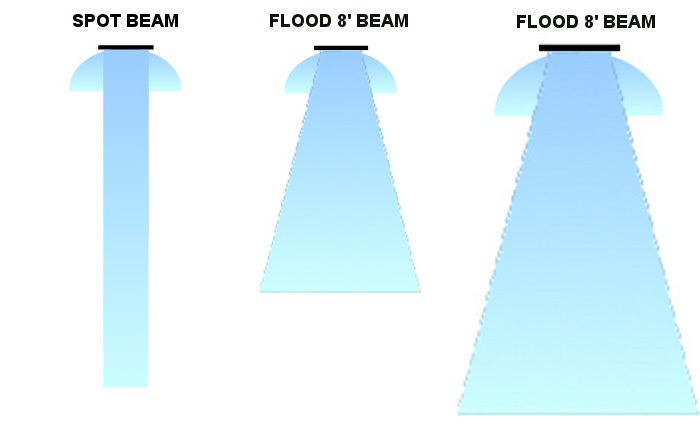 Each searchlight is fully weatherproof, frost, heat, water and fuel resistant, rated IP65. These robust LED searchlights are the perfect tools for, Security and inspections, and search and rescue teams as well as many more departments in industry and leisure. 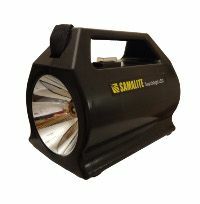 Samalite’s rechargeable searchlights are ideal for long range search activity and because of the lightweight lithium batteries are easy to carry over long distances by foot. The high impact polyurethane body and shatterproof polycarbonate lenses of the Samalite search lights are tough and durable to withstand the elements. 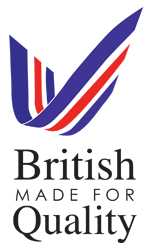 MOD, Utilities, Railways, Security Inspection Teams, Search and Rescue and the Police are just an example of some of those that have benefited from the use of Samalite’s range of search lights. Searchlights are an invaluable tool for the majority of industries and general use. Due to the LED lighting technology featured in each of our high powered rechargeable searchlights the quality of the light output is excellent and with its white beam gives you clarity as opposed to the substandard orange glow often emitted from the dated conventional bulbs. Lamp life and run times are also extended due to the low energy consumption properties of light-emitting diode (LED) lamps. The Samalite SL850LiS, SL850LiF and SL2000Li models all come complete with shoulder strap, mains charger, 10 amp spare safety fuse and are all available in either yellow or black. There is also a choice of accessories that you can choose to purchase that will compliment your search light such as the vehicle storage bracket and vehicle Chargers, etc.